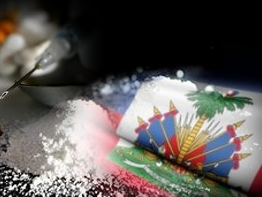 According to a report published in March 2019 entitled “International Narcotics Control Strategy Report” by the United States Department of State Bureau for International Narcotics and Law Enforcement Affairs “Haiti remains a transit point for cocaine originating in South America and marijuana originating in Jamaica, traversing the country’s porous borders en route to the United States and other markets. This traffic takes advantage of Haiti’s severely under-patrolled maritime borders and its extensive land border with the Dominican Republic. Haiti is not a significant producer of illicit drugs for export, although there is cultivation of cannabis for local consumption. Haiti’s primarily subsistence-level economy does not provide an environment conducive to high levels of domestic drug use. In 2018, the Haitian National Police (HNP) strengthened the BLTS with additional officers, and officials at the highest levels of the government have spoken about the need to fight drug trafficking. However, seizures of illicit drugs and smuggled cash declined and the government is unable to secure the country’s borders to stem the flow of illicit drugs. ” The Government of Haiti runs small-scale public awareness and demand reduction programs funded through the drug control policy commission (CONALD), but there is no data on these programs’ impact or usefulness,” note de report, adding “The Haitian government as an institution does not encourage or facilitate illegal activity associated with drug trafficking, or the laundering of proceeds from illicit drug transactions. However, effective government action to fight corruption, particularly related to illicit drugs, is constrained by two major factors coupled with a lack of political will. The first is a historically weak legal framework. The second constraining factor is systematically poor judicial performance, due to antiquated penal and criminal procedural codes, opaque court proceedings, lack of judicial oversight, and widespread judicial corruption. To date, there have been five successful convictions for drug trafficking, and only one conviction on corruption-related charges in Haitian courts. The Haitian Anti-Corruption Unit has advanced 32 corruption-related cases to the judiciary since its inception in 2005, but without tangible results. “The continued institutional development of both the HNP and BLTS is a positive trend that has helped improve public security and has marginally increased Haiti’s capacity to interdict drug trafficking. However, the dysfunctional Haitian judicial system drastically limits domestic prosecution of drug cases and thus reduces disincentives to trafficking operations. Drug seizures remain low, and Haiti’s minimal capacity to police its sea and land borders continues to be a particular point of concern. Continued U.S. engagement in support of BLTS operations and general HNP development will help Haitian law enforcement capitalize on marginal gains in drug interdiction capacity. The benefits of such gains will be limited, however, if the judicial system remains weak, corrupt, and fails to convict drug traffickers. Only the concurrent strengthening of political will, the judiciary, law enforcement, and border security will enable Haiti to make real progress in combating drug trafficking,” concludes the report.